Your Cell Phone Alerts Put You In Danger While Driving! According to a study entitled “The Attentional Cost of Receiving a Cell Notification” by Florida State University researchers, receiving a cellphone notification (a ringtone, alarm bell or quiet vibration) causes distraction that affects your performance on attention-demanding tasks. Published in the Journal of Experimental Psychology: Human perception and Performance, the study reveals that the distraction caused by a mere cellular phone notification is so effectual that it is similar to that of an individual using their cell phone to send texts or make calls. Cary Stothart, a psychology doctoral student, is the study’s lead author. His co-authors are Ainsley Mitchum, former Florida University postdoctoral searcher; and Courtney Yehnert, an FSU research director. Yehnert, who was working on the research project as an undergraduate learner graduated from the university in 2014. The FSU study is the first to investigate the impacts of cell phone notifications and alerts on the ability of individuals to focus on a particular task. According to the researchers, people’s attention capacity is limited. When one uses their mobile phone when working on a task, their attention is split between using the cellular device and completing the job. The FSU investigators explain that it is this splitting of an already limited attention capacity that leads to poor task performance. Even the mere knowledge that one has a missed call or text has the same effect as using a cell phone while working, explain the researchers. These findings are important, especially considering that majority of public information drives seeking to discourage risky cell phone usage (for example calling or texting while driving) advise users to wait to answer calls or return messages. According to the study, even waiting can have the same distractive effects as calling or texting. Simply looking forward to responding to a message or call has enough distraction to impair performance on another activity. The FSU researchers conducted their research by comparing the participants’ performance on an attention-demanding computer task, divided into two parts. In the first part, the study participants were simply assigned the computer task. In the second part, the researchers divided the participants into three groups: text, call or notification. The researchers sent automated calls and texts to the first two groups. The participants did not know that the notifications came from the researchers. The scholars established that there were more mistakes in the case of participants who received notifications to their cellular phones than those who did not. Those that received the notifications were three times as likely to make mistakes as those who did not. Participants who received text alerts performed better than their counterparts who got call notifications. After comparing their study findings with other researchers’ work that investigated how using cellular phones affected performance, the FSU investigators established that their findings corroborated those of other studies. The similarity of the results suggested that the effects of receiving a notification and failing to respond, and actually replying to a text or answering a call were the same. These findings apply to driving, although the researchers did not investigate the effects of cellular notifications on driving. Commenting on this aspect, Stothart said that the findings suggest that when driving, drivers should mute or turn off their cellular phones, and keep them out of sight. 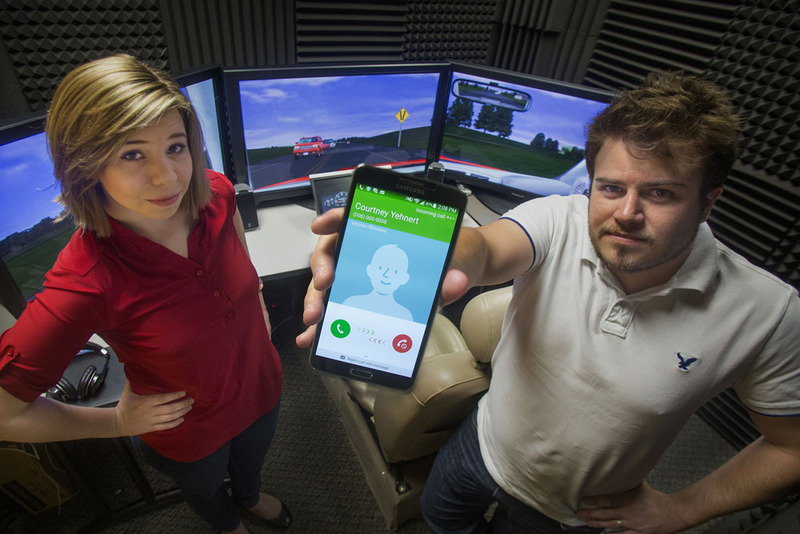 To follow up on this research, the researchers plan to conduct another study to investigate the effects of notifications on task performance, when the participant is taking a simulated driving test.